"[...] in terms of art, Jack Beder (1910-1987) might well be Montreal's best kept secret." The Gazette, November 1, 1997, on the exhibition at Leonard & Bina Ellen Art Gallery, Concordia University, Montreal. Born in Opatów, Poland in 1910, Jack Beder immigrated to Montreal in 1926. He is best known for producing street scenes of Montreal dating from around the 1930s, depicting Montreal's cafés, landscapes and gardens. He also produced still-lifes, portraits and figure paintings. He worked in a variety of materials—oils, acrylics, gouaches, watercolours and pastels and worked with a variety of mediums-sculpture, drawing, painting and print media. Beder produce serigraphs, lino-prints, monotypes and monoprints as well as sculptures in wood, limestone, marble, serpentine, plaster, Liquitex medium and cardboard. As well as working in a variety of mediums, Beder also worked in a variety of places—New Brunswick, Nova Scotia, Quebec, Ontario, Alberta and British Columbia. His work has been exhibited all over Canada, including Montreal, Halifax, Fredericton, Charlottetown, Ottawa, Toronto, Hamilton, St. Catharines, London, Winnipeg, Calgary, Edmonton, Vancouver and Victoria, as well as in the United States-most notably at the 1939 New York World's Fair. Many of his works can be found in private collections across Canada, the United States and England. 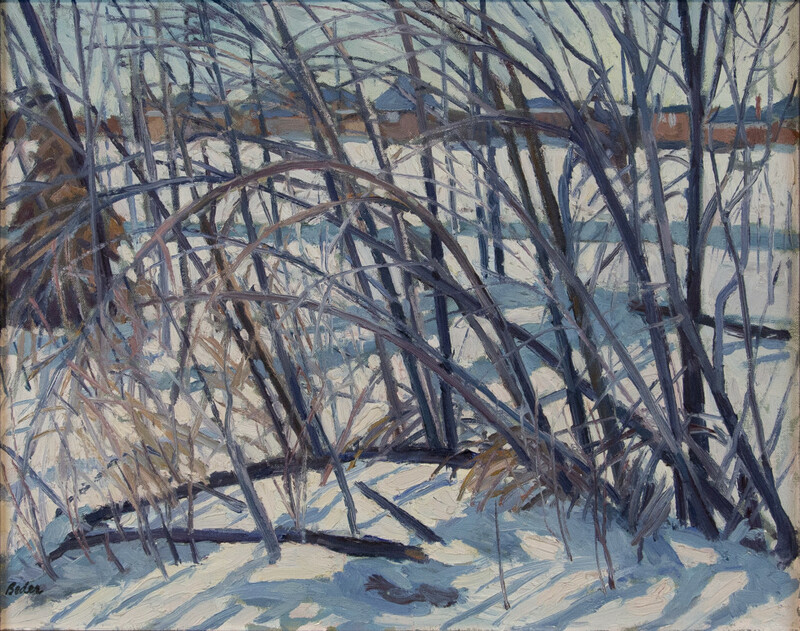 Beder is also represented in the permanent collections of the National Gallery of Canada, National Portrait Gallery, Museum London, London, Ontario; Concordia University, Montreal; Musée national des beaux-arts du Québec, Jasper Yellowhead Museum & Archives, Alberta; Beaverbrook Art Gallery, Fredericton, New Brunswick; Donald Berman Maimonides Geriatric Centre, Montreal; Mount Sinai Hospital, Montreal; as well as in the corporate collections of IBM, Shell Canada, Calgary; Royal Bank of Canada and Power Corporation of Canada.